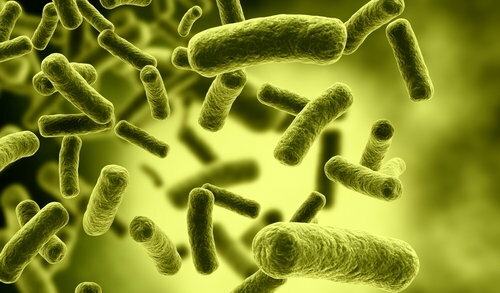 Biologic debridement is the use of living organisms to remove necrotic or dead tissue from a wound. The most commonly used biologic debridement method involves the use of maggots that have been medically sterilized or disinfected. Debridement is important in wound care because removal of dead tissue decreases the risk of infection from bacteria and accelerates wound healing. Biologic debridement works on the same principles as other forms of debridement, but differs in the method it uses to remove dead tissue. The maggots used in biologic therapy are larvae of the greenbottle blowfly. These maggots are grown in a sterile environment to minimize the risk of wound infection. They are introduced into the wound, where they digest necrotic tissue, leaving normal tissue intact. These maggots also decrease the risk of infection, because they are able to ingest bacteria present in the wound such as methicillin-resistant staphylococcus aureus (MRSA). There are also some substances secreted by these maggots which promote regrowth of the tissues, leading to improved wound healing. Biologic debridement is relatively painless compared to surgical, or sharp debridement techniques, which can cause additional damage to the surrounding normal tissue. Maggot therapy has also been shown to reduce wound secretions, thus preventing wound leakage. This form of debridement is relatively rapid compared to other forms of debridement. However, biologic debridement is more expensive than other methods. The patient should be psychologically prepared before being subjected to biologic therapy, since this method may contradict previous perceptions of the patient regarding maggots. The procedure and its benefits should be thoroughly explained and should be performed only when the patient is receptive to it. A special dressing is also required for this treatment. The dressing is specially designed to contain the maggots and is changed after 48 hours, during which a decision is made to introduce a new batch of maggots or to discontinue therapy when the desired results are obtained. After therapy, the maggots are placed in biohazard bags and are disposed of as biological waste. Any patient with a wound that his or her doctor feels is eligible for maggot therapy may undergo the biologic debridement procedure. If a patient cannot psychologically accept maggot therapy as a form of treatment, the physician will suggest an alternative forms of debridement should be used.